One of the quickest ways to grow your business online these days, is to build your influence in your industry. But with everyone over 1000 Twitter Followers calling themselves an ‘influencer’, has the word lost it’s meaning, and what does it really take to become influential? 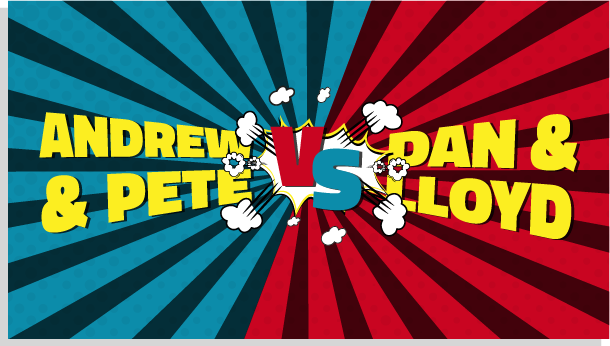 In Episode 2 of Andrew & Pete vs Dan & Lloyd we challenged our frenemies Dan and Lloyd to answer exactly that. ​This feud is getting messy… literally.